"I like to think I'm a moral person but many times in my career (and in the careers of friends), I've been forced to choose between unethical behavior and possibly losing my job. I handled this on a case by case manner, where I had to weight the importance of the unethical behavior, the likelihood of me being punished, the odds of me successfully elevating the issue to a superior, how much the unethical behavior would actually hurt the injured party, etc. In other words, my response was ambiguous and led to a lot of sleepless nights." 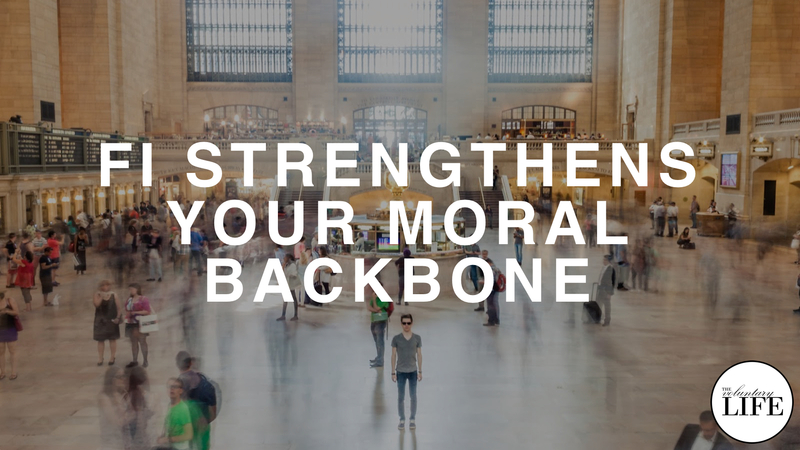 The listener went on to explain that achieving financial independence strengthened his or her moral backbone and make it easier to say no to bad people at work. This is a brilliant insight and highlights one of the great benefits of financial independence. In this episode I share some suggestions about how you can use entrepreneurship, extreme saving and unjobbing to make it easier for you to do the right thing.